Apple first released an Apple TV box back in 2007. The idea was to connect big-screen TV sets to the wealth of programming available on the Internet. But the late CEO Steve Jobs famously said the box was a "hobby," not core to Apple's mission like iPhones and Macintoshes. Under Jobs' successor Tim Cook, the little black box has graduated. 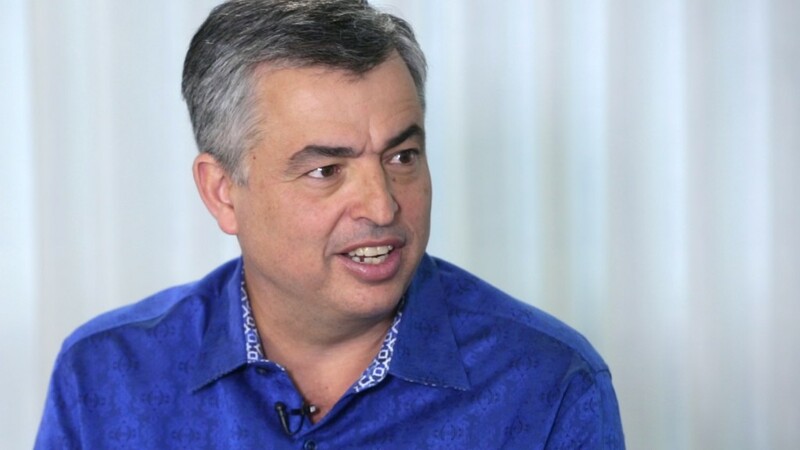 It is "absolutely" more than a hobby for Apple (AAPL) now, Senior Vice President Eddy Cue told CNNMoney in a rare interview. "We have over 20 million Apple TV's in households today," he said. "We think this is really going to revolutionize television. So this is a big deal for us." "To us, TV is about apps," Cue said. The new version of Apple TV allows game developers and television networks to create apps for big screen sets. That means there's now a version of Periscope -- the fast-growing live-streaming phone app -- for your living room TV. Other early apps include Zillow, Gilt, and Airbnb. Networks like CNN and ESPN are also updating their existing apps for the new box. In the interview, Cue repeatedly called it "a platform to build on." "The greatest things about apps is you don't know what people are going to do with that," he said. "They've created incredible apps that we've never thought of on iOS. We think the same thing's going to happen on television." "When you have so much content available in the world today -- and on Apple TV -- the way you want to find it is by talking" to your TV, not by typing, Cue said. Apple TV's new remote adds Siri, so users can say something like "Find me a movie with Brad Pitt" and be presented with options from Netflix, Hulu, Apple's iTunes store and other services. "We've worked with HBO, Showtime, Hulu and Netflix to make all of their apps searchable via Siri, which is a great, great feature," Cue said. Many of Apple's rivals in the set top box space, like Comcast, are also incorporating voice search. The new remote also has a touchpad at the top, which makes it markedly easier to navigate the big-screen TV interface. "The touch interface is something we've always wanted on television -- but obviously we didn't want to go walk up to our TV and touch it. We've been able to figure out how to do that right on a remote," Cue said. Why have a separate remote instead of an app for iPhones that turns those devices into TV controllers? Cue explained: "You want your remote to always be there, and you don't want it to be carried away -- if your kid comes up to your TV, you don't really want him asking for your phone." The bottom line, Cue said, is that "we want this to be really easy."